Draw a single box (i.e. rectangle) on an input image with a specified width. 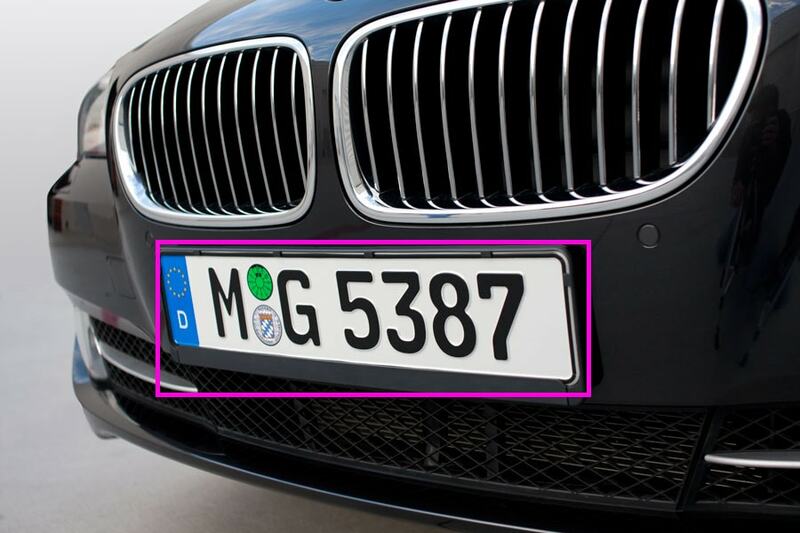 This function is very useful when working with the object detection interfaces for example to mark a detected object (i.e. car, plane, person, etc.) coordinates. When done, you can save the output on disk using sod_img_save_as_png() for instance. The input image to be processed. The image can be loaded from disk using sod_img_load_from_file(), from memory (i.e. network socket) via sod_img_load_from_mem() or dynamically created via sod_make_image(). A sod_box object holding the coordinates of the rectangle to be drawn. Red color value in a typical RGB colorspace. This interface handle grayscale colorspace also. Green color value in a typical RGB colorspace. Blue color value in a typical RGB colorspace. sod_canny_edge_image • sod_image_draw_bbox • sod_image_find_blobs • sod_hough_lines_detect • sod_rotate_image • sod_crop_image.